C. Numitorius C.f. 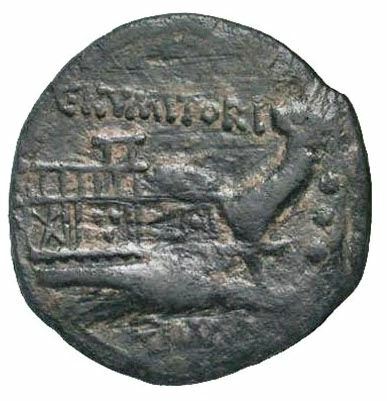 Lem was one of the moneyers for the year 133 BC. He is also known from a senate inquiry. Gens Numitoria was an ancient but minor plebeian family at Rome. The first member of this gens to appear in history was Lucius Numitorius, elected tribune of the plebs in 472 BC. Although Numitorii are found down to the final century of the Republic, none of them ever held any of the higher magistracies. The nomen Numitorius is a patronymic surname, based on the name Numitor, traditionally remembered as the name of the grandfather of Romulus and Remus, and the last of the Silvan kings of Alba Longa. Chase considers this to have been a genuine name from Latium's archaic past, signifying one who "arranges" or "orders".